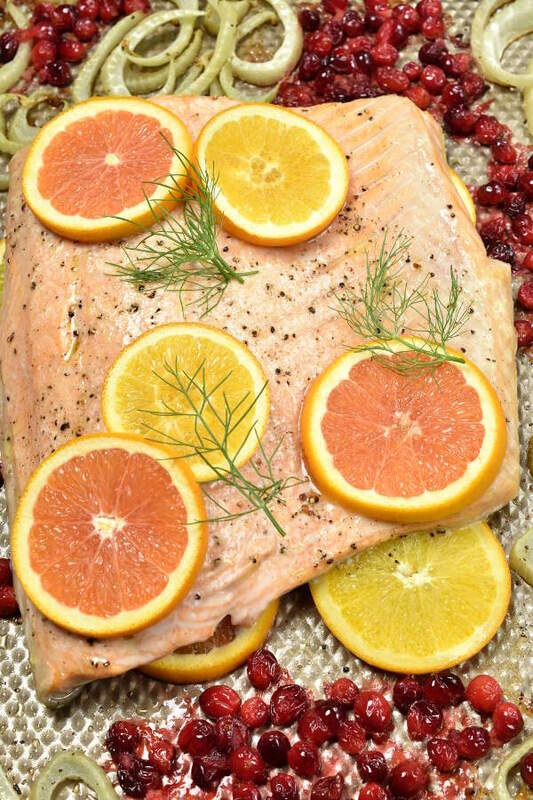 Roast Salmon with Fennel is a recipe for salmon baked with oranges, fennel, and cranberries. 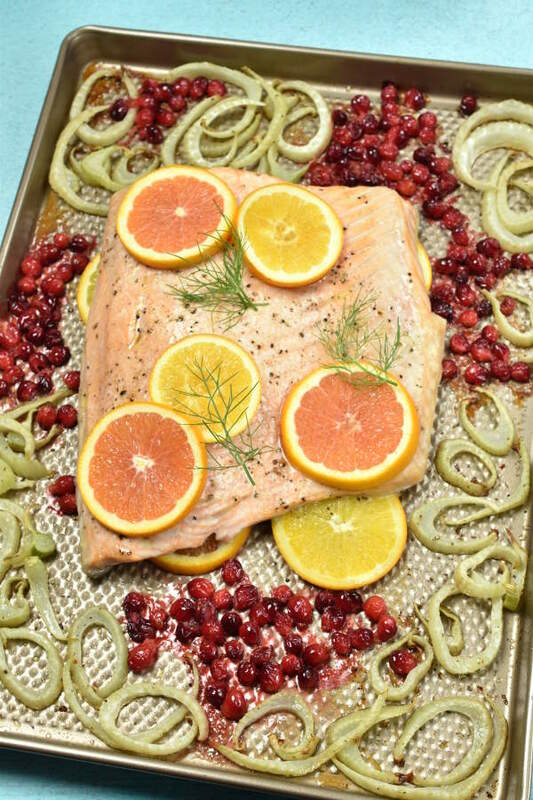 The perfect way to enjoy salmon with winter citrus and produce, all baked in one sheet pan. This roast salmon recipe is easy enough for a week-night dinner but elegant enough to serve to company. 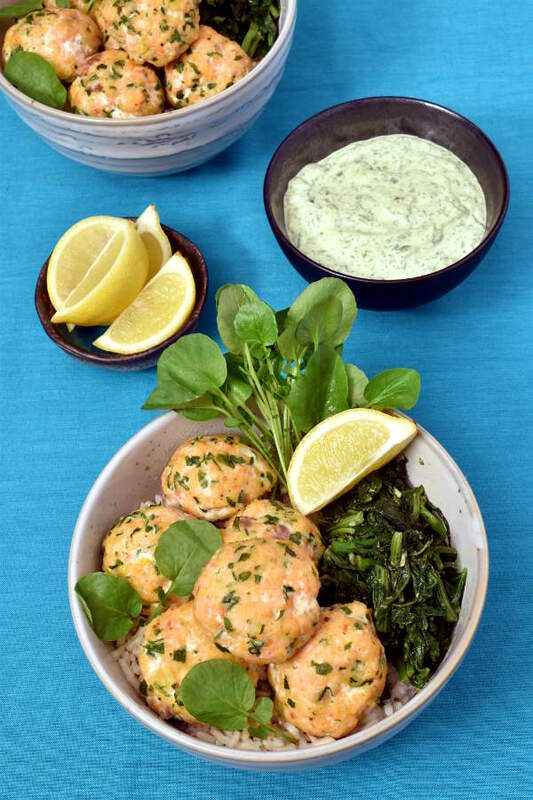 Salmon is widely known as a good source of protein and healthy fats, especially omega-3 fatty acids. 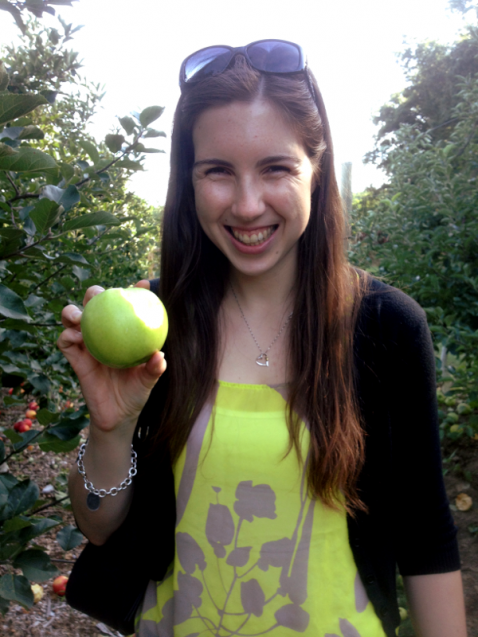 But did you know it’s also one of the best foods you can eat to help with workout recovery? Last month when I was sick, I didn’t work out for two weeks. My first week back in the gym, my muscles were very sore after every workout. I also had this weird craving for salmon and cooked it twice that week for dinner. Then I was read this article in Oxygen, and it said how salmon is one of the best foods to eat when you’re sore post-workout. Interesting how your body just knows what it needs sometimes! Here are the main ingredients for this recipe. I used a 2 ½ pound salmon fillet and then cut it into pieces after baking. I like the serving presentation using one big piece of fish. Of course, there’s no reason you couldn’t use smaller pieces. For the fennel, I used one whole bulb. I saved some of the fronds to use as a garnish. You can also chop up the fronds and toss them in a salad for a nice licorice bite. I used one navel orange and one cara cara orange. I love the fresh colors and flavors of in-season citrus fruit. Blood oranges or grapefruit would also be great. Lastly, I used one cup of cranberries, sweetened with some honey. I like adding roast cranberries like this to any type of meat or fish. They’re good for so much more than cranberry sauce! Fennel takes longer to cook in the oven than fish, so I started out roasting just the fennel. After 10 minutes, I took that out of the oven and added the rest of the ingredients. I made a bed of orange slices, placed the seasoned fish on top, and topped the fish with some olive oil. The last few orange slices go on top of the fish. 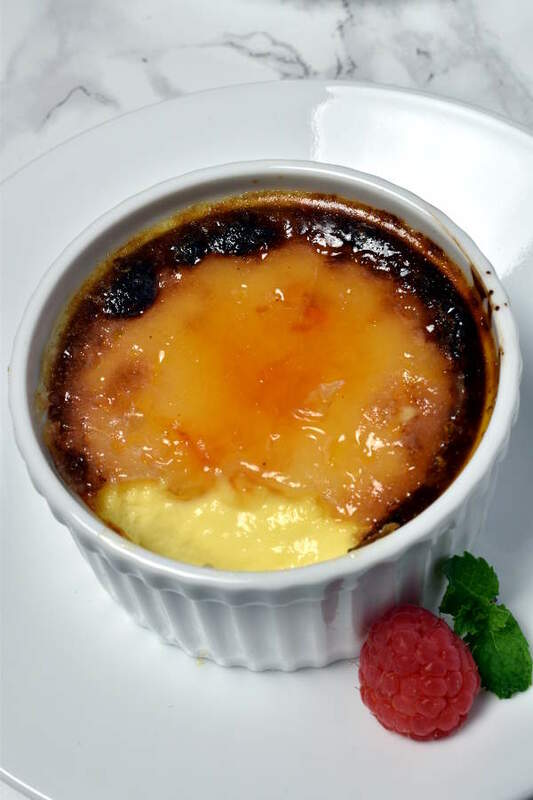 I mention this in the recipe below, but it’s really important to spray some extra cooking spray on the pan before you put down the cranberries to prevent the honey from sticking to the pan. Depending on how thick your salmon is, it takes 12-18 minutes to bake the fish at 400 degrees. If you use individual salmon portions, they will cook quicker than using one larger piece. 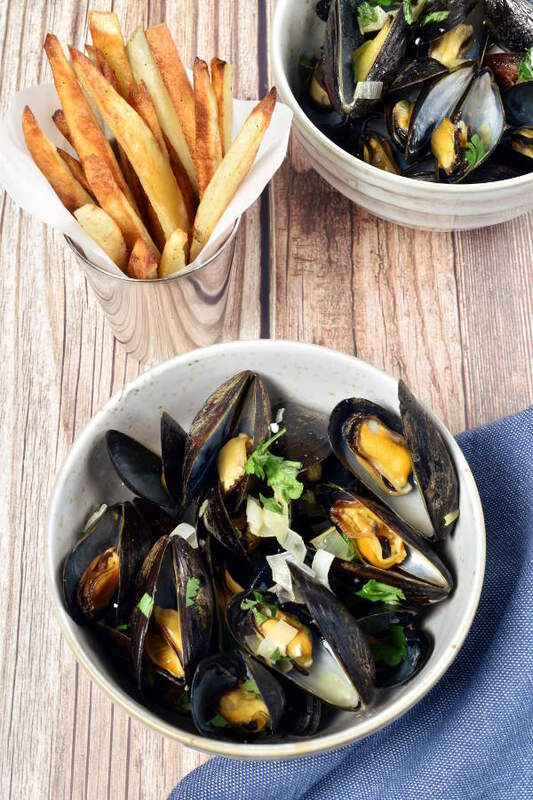 The USDA recommends cooking fish to an internal temperature of 145 degrees. However, many people prefer fish cooked a bit more rare and less well-done than that temperature. If you prefer a more rare salmon, check after 10 minutes. 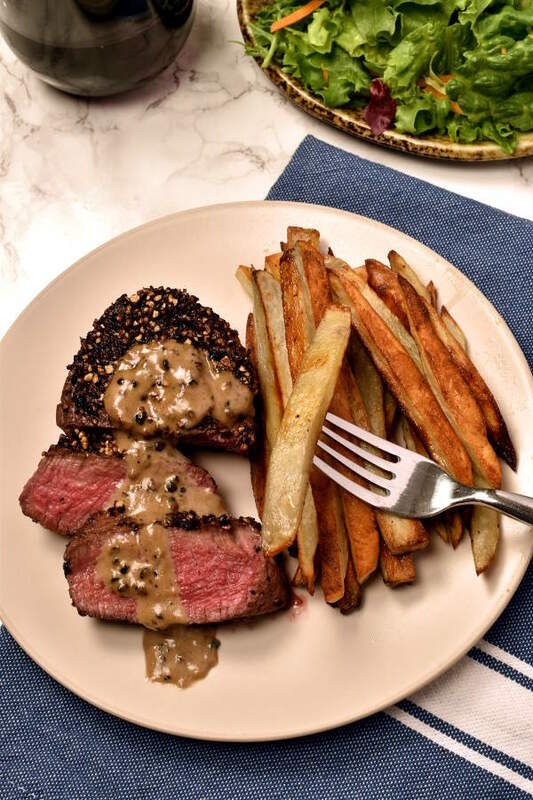 We had this for dinner with a side of steamed white rice and roasted broccoli. 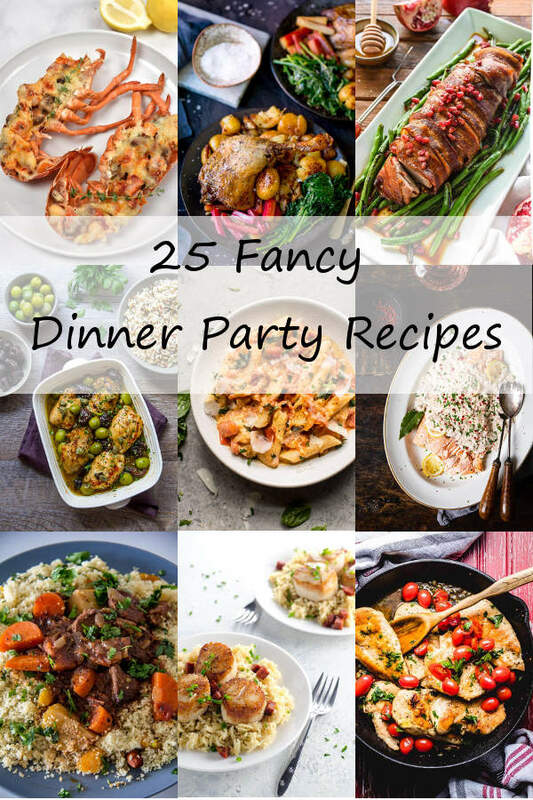 Some other ideas are to serve with a spinach or kale salad, with a rice pilaf, with buttered whole wheat orzo pasta, baked potato, or some good bread. If you’re looking for another healthy easy sheet pan dinner with a different fish, try my Cod with Roasted Green Onions and Pistachio. Preheat oven to 400 degrees. Spray a large baking sheet (at least half sheet pan size, which is 18”x13”) with cooking oil spray. 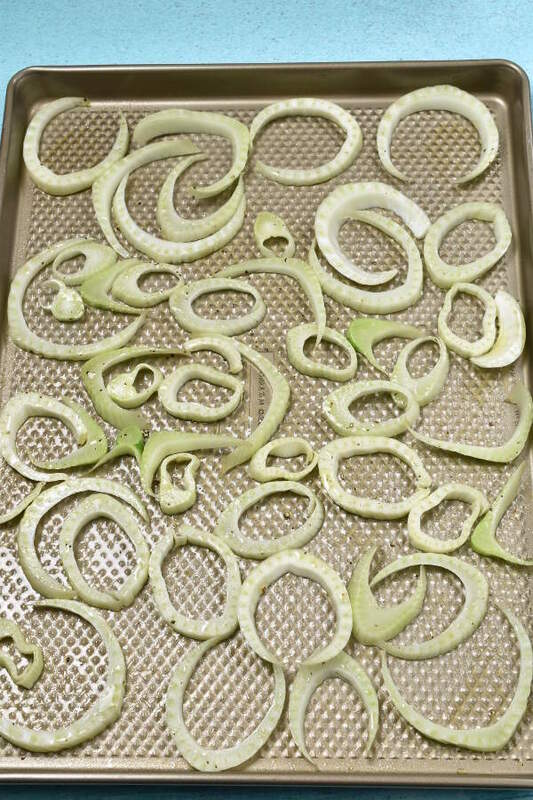 Toss sliced fennel bulb with 1 tablespoon olive oil and salt and pepper. Lay out in a single layer on the sheet pan. Roast for 10 minutes. Meanwhile, season salmon with salt and pepper. Toss cranberries with honey in a small bowl and set aside. After fennel has roasted for 10 minutes, remove from oven. Push the fennel to the sides of the pan to make room for the salmon. Lay out about 2/3 orange slices on the sheet pan. Place the salmon over the orange slices, skin-side down. Rub remaining 1 tablespoon olive oil over top of salmon. Top with remaining orange slices. 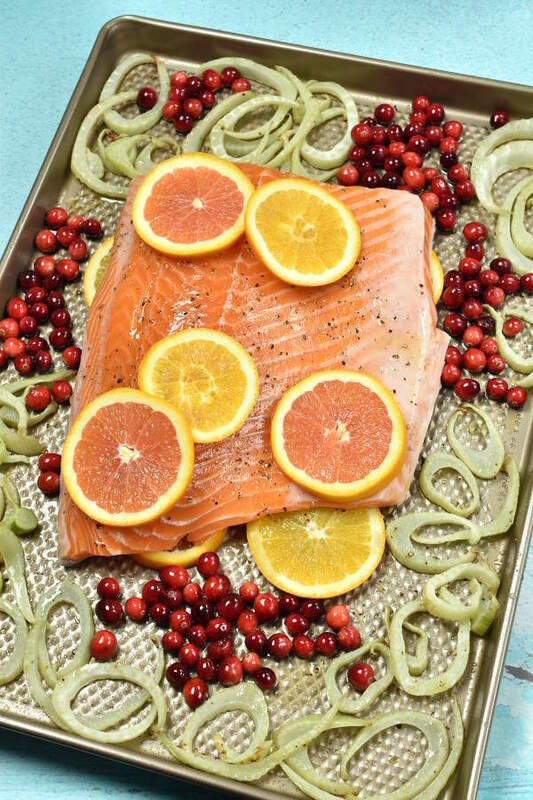 Arrange the cranberries around the sides of the salmon with the fennel, BUT spray that area with cooking oil spray again before putting down the cranberries. 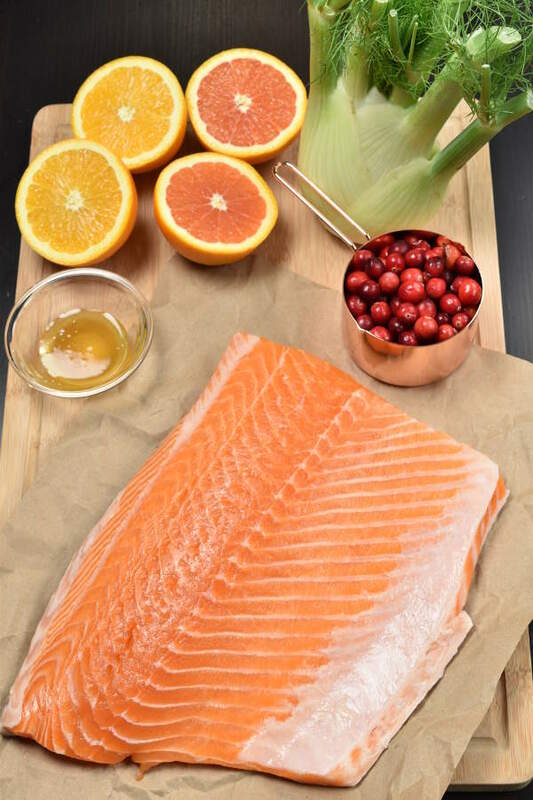 Roast for 12-18 minutes, until salmon reaches internal temperature of 145 degrees or flakes easily with a fork. Garnish with reserved fennel fronds and serve with lemon.